While many people may outsource their thesis writing a lot of hard-working students write their own thesis. I prefer to do my thesis on my own since it not only the writing but also the learning I get from it. The first time I wrote a thesis it was really not good and over several years of thesis review, I have noticed that most of the first time thesis writer make the same mistakes and therefore we have come up with these guidelines to help you. While writing an academic paper, the main focus of the researcher is to illustrate and expand the main idea, the main point or central message through arguments and examples. The arguments are normally illustrated points in the favor or opposite of the thesis statement and offer figures and graphs that validate the argument and are normally drawn from credible sources such as papers of previous researchers or government publications. The thesis can be normally described as a statement that is made in the earlier stages and remains a one or two sentence condensation of the analysis or the argument that would be followed in the rest of the section. An essential part of any academic paper, there are many reasons why your essay contains a thesis statement. It includes taking an opportunity to test the validity of an idea by distilling them into one or two statements. In addition, the inclusion of thesis also leads to better organization and development of the relevant argument and provides the reader a guide when reading the argument. Finally, the thesis remains an answer to the question explored by the paper. 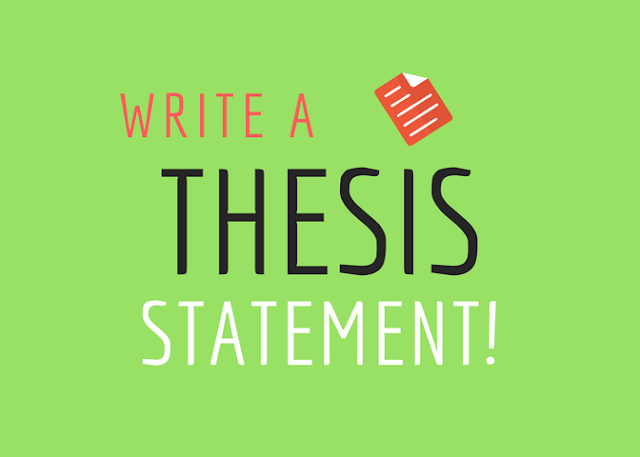 The main focus of a thesis statement is to present the topic as well as your position on that topic. In addition, it should also tell the reader about the paper, guide your writing and keep the argument in focus. Thus, the thesis statement should be limited to one or two statements. How To Generate A Thesis Statement If The Topic Is Assigned? Even if a complicated topic is assigned, it is easy to reduce it to a single question and the process starts with filtering an assignment into a particular question. For example, if the assignment is to write a report related to the benefits of using computers in various grades and the potential audience is the local school board, the question that would be answered in the paper would be, “State the potential benefits of using computers in different grades?”. After choosing the research questions, you can comprise one or two statements for answering the question. Determining What Kind Of Paper You Are Writing. The kind of thesis statement you write differs with the kind of paper you are writing. For example, an analytical paper breaks down an idea or issue into different components for evaluation of an idea as well as present this breakdown and evaluation to a pre-determined audience. Whereas the main focus of an expository or explanatory paper is to explain a particular idea to the reader. Further, the primary focus of an argumentative paper is to take a position on the selected topic and justify that position with particular evidence. This position can be a policy proposal, an opinion, a cause-and-effect statement, an interpretation or an evaluation. Even if you are writing any other kind of academic paper, a thesis statement located in the first or second paragraph remains useful for the reader. The thesis statement you write should cover what you would discuss in the paper and you need to validate it with evidence supported by credible sources. Most often, the thesis statement appears at the end of the 1st paragraph of an academic paper. As you write, the topic may change and you need to revise your thesis statement that reflects the discussion in the academic paper.